If you're working on a large project with many regions, it would be very useful to be able to group regions in various ways, both regions within a track and regions that span multiple tracks. A good example of a grouping implementation would be how it's done in Reaper. 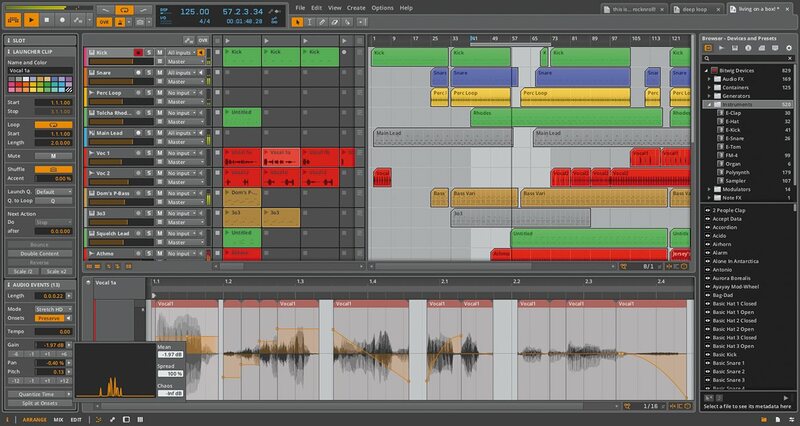 I haven't used Reaper, but there's a similar functionality in Ableton Live and Bitwig Studio: patterns. A Pattern is basically a container for a bunch of regions. The pattern can be shortened (truncates what ever it contains), or lengthened (loops what ever it contains). Within the pattern, regions can be trimmed, moved around, have automation, be stretched, etc, as they are now. All relative to the container. This would be an awesome feature to have in Ardour. Here is an example of what it looks like in Bitwig: http://createdigitalmusic.com/files/2014/01/BWS_Screenshot.jpg - the pattern being edited in the pattern editor is the highlighted one in the "voc1" track. Such a feature would be awesome! For audio regions on a single track there is a function called "Combine" - this makes them appear as a single region, but thy are actually multiple ones, and can be "uncombined" to tweak the arrangement, and re-combined again. It's not exactly region grouping however.